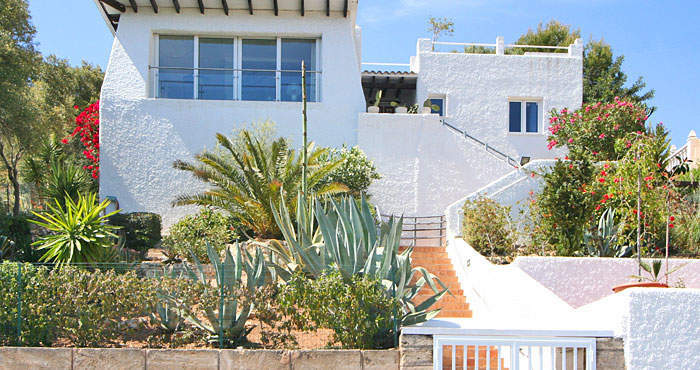 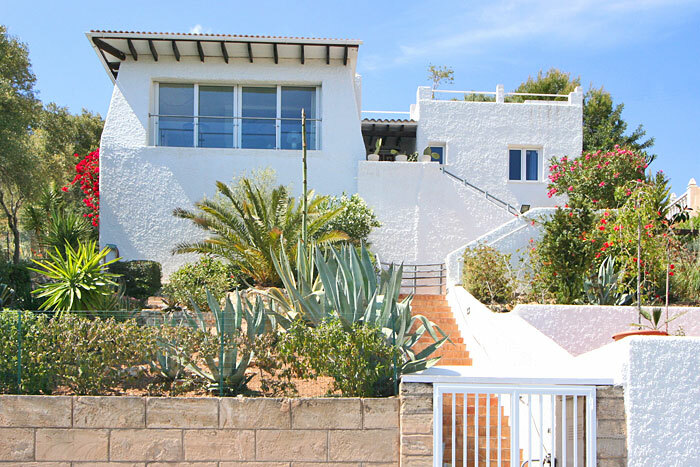 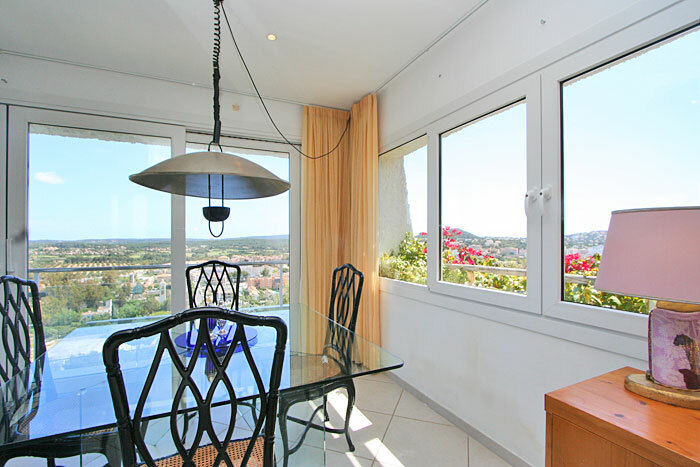 The south-facing villa in the Moorish style on one level, recently completely renovated and expanded, is located in a residential villa area on the border between Santa Ponsa and Costa de la Calma. 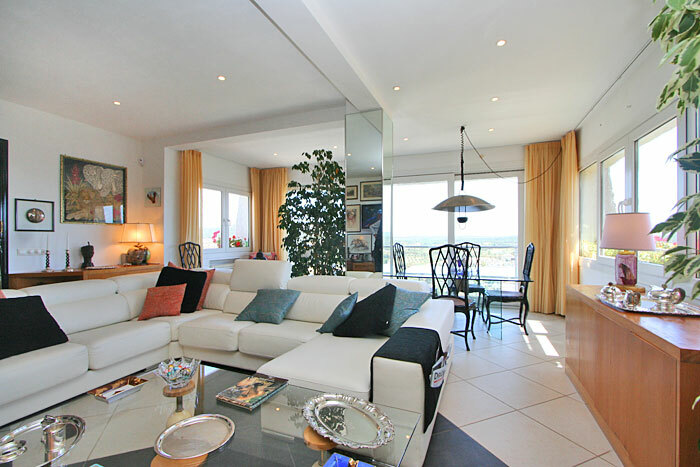 Apart from a light-flooded living/dining room are two bedrooms and a spacious-sized roof terrace with Jacuzzi available. 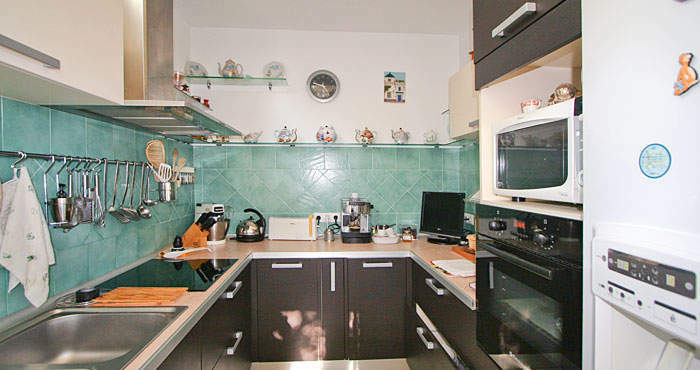 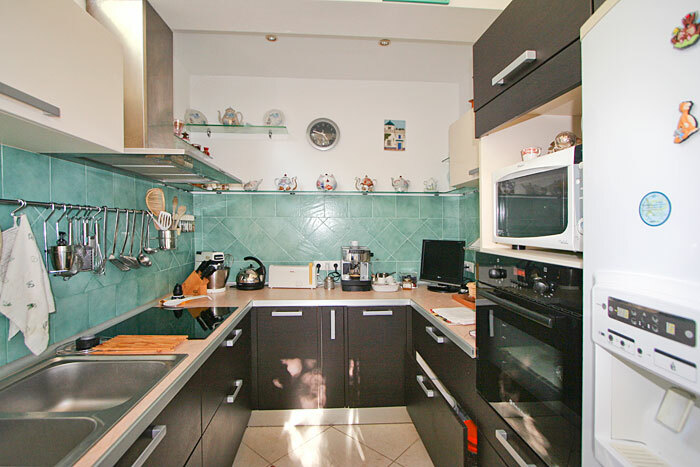 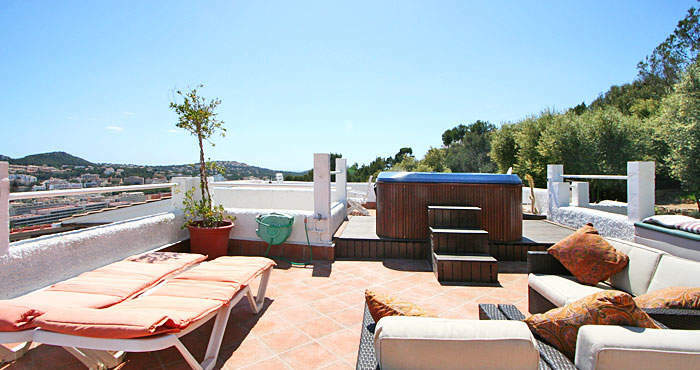 On the inclined plot, which is easy-care landscaped with trees and plants of the Mediterranean region, are furthermore two garages, a separate guest house and a barbecue area with brick barbecue. 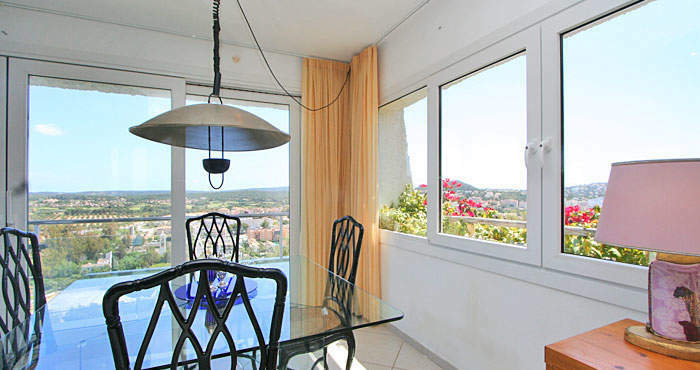 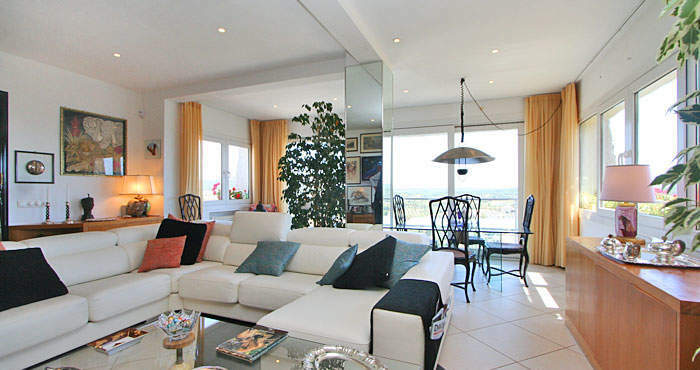 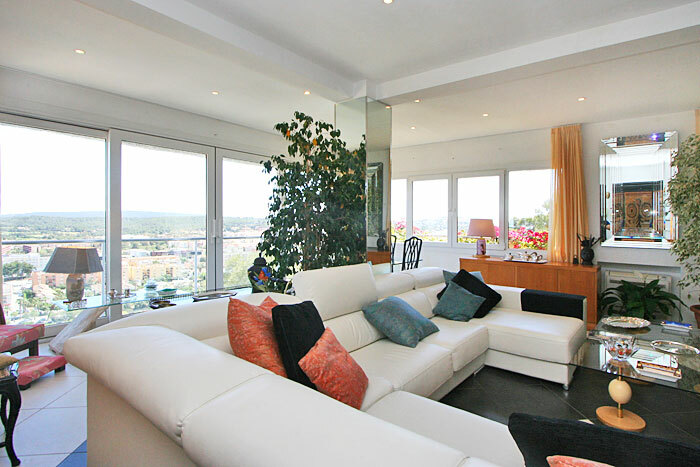 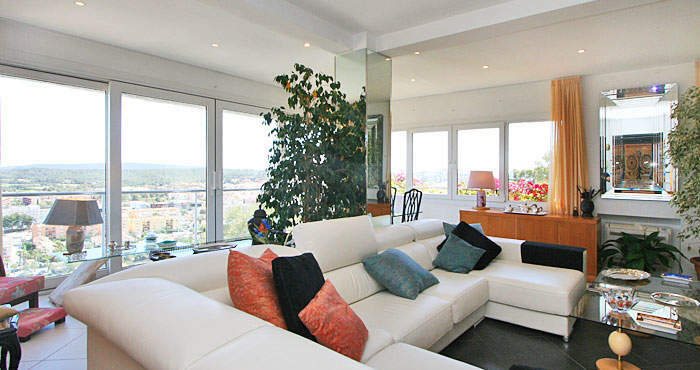 Very beautiful views to the surrounding mountains and the bay of Santa Ponsa complete the offer.